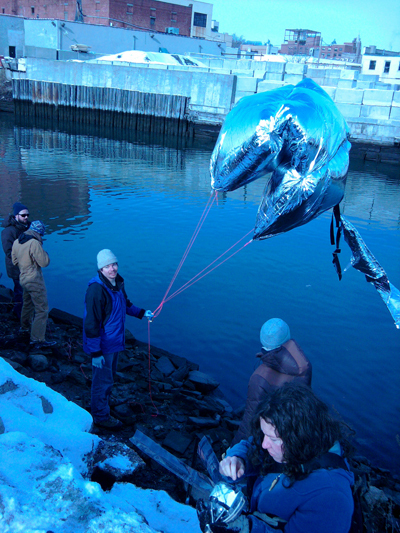 On a freezing 11 degree day, (January 22, 2011 to be precise) the Gowanus Grassroot Mapping crew hiked out to Gowanus Canal to document the Superfund site. 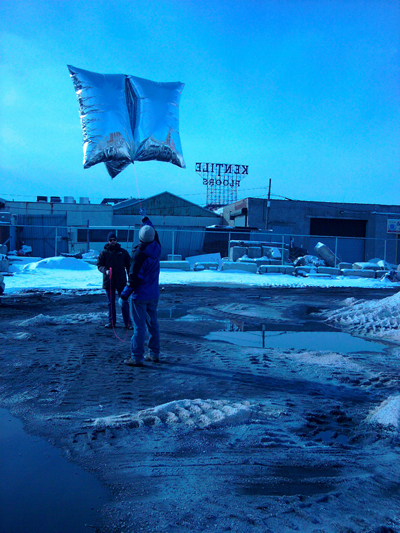 These balloons were made out of Mylar emergency blankets, and filled with helium that a local welder graciously donated to us. More photos can be found on my flickr photo set. I’m admittedly way behind on my grassroots mapping updates… but here some more photos from our grassroots mapping excursions. In our March 27th excursion, we also got immensely helpful assistance from Charles Stewart, who is a kite enthusiast / expert / entrepreneur. 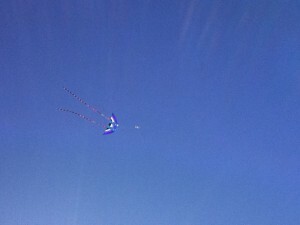 I was pretty psyched with my first experience with kite photography, rather than balloons. 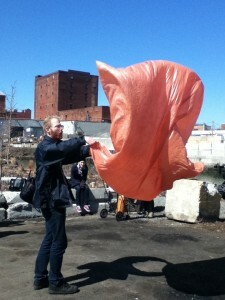 Mathew Lippincott also gave a super interesting demonstration of his solar balloon technique, using thin plastic which is heat sealed, and dyed with pigment. It uses the sun to heat, and the sunny but still cold weather was great for getting the temperature differential to get lift. 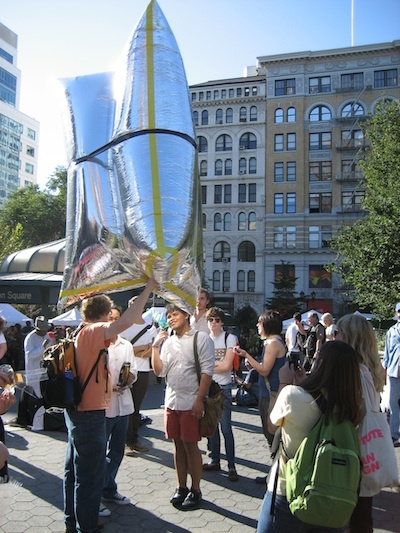 It is also super cheap to make, and eliminates the biggest expense of our Mylar balloon design, which is helium. It was great to finally meet him and some other of the Public Laboratory for Open Technology and Science, PLOTS, founding members. We got good photos that I haven’t seen yet, but when they get stitched together, I’ll update with a link. Today, I worked with Jeff Warren, long time friend Liz Barry, and students from Parsons and the New School on Grassroots Mapping. 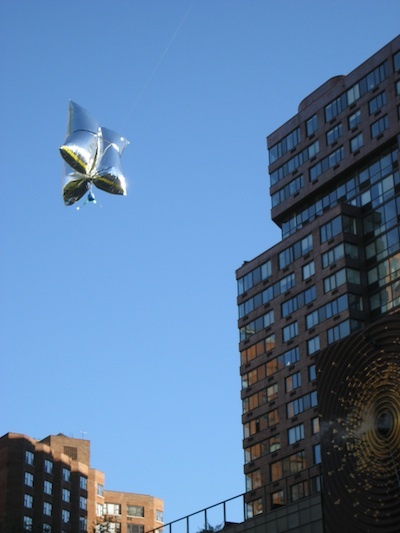 With what amounts to DIY Satellite Imaging, a camera was attached to Mylar balloons, which was tied to fishing line and floated up above Union Square. On one of the last sunny warm Saturdays of the year, students avoided Farmer Market shoppers and evangelical Christians, while trying out the system that Jeff created. 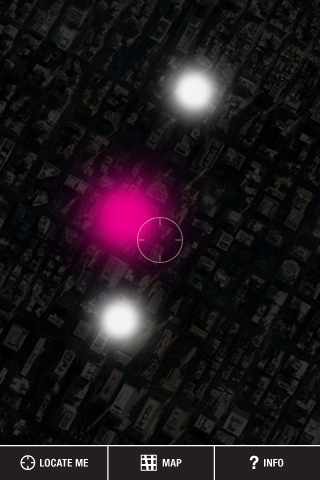 A couple of interesting articles appeared on nytimes.com today about the future of human. Although, insights and important discoveries have been made, Nicholas Wade reports in “A Decade Later, Genetic Map Yields Few New Cures,” that ten years after completing the first mapping of the human genome, the nytimes.com reports that scientists have not made nearly as much progress in finding cures for cancer or Alzheimer’s as they expected. The main thing I take away from the article is that the human body is really complicated and can surprise us how little we really know about it functions. On the hand other, we also learned from Ashlee Vance in “Merely Human? That’s So Yesterday”, the Singularity University was recently held and attended by tech luminaries like the Google founders and Raymond Kurzweil, who predict that people will soon access a technology-aided evolution to become superhumans with infinite intelligence and lifespans measured in centuries. 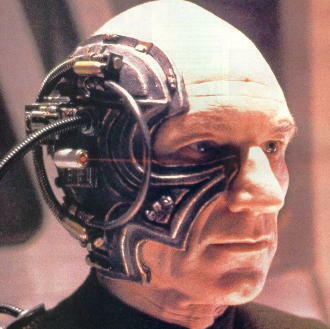 The Singularity will be some combination of tapping into the collective knowledge of networks like the Internet as well as medical advances like organ regeneration and cybernetics. So, anyway, in some ways, I’m actually glad that we are finding out that the body is far more complex system that we want to believe. A slower rate of innovation might be a good thing. While it would obviously would be great to find cures for diseases, my hope is we actually have a chance to figure out all the ethical implications of the meaning of this work. Actually, it’s not even figuring out, but I want people to just start asking the questions. On a related note, I just finished You Are Not a Gadget, by Jaron Lanier. The book is a great critique of how we overvalue technology, undervalue the products of people’s creativity, and as a result, undervalue humanity itself. Update: 2010/06/19: This month’s Wired magazine cover story by Thomas Goetz is “Sergey’s Search.” (Not online yet.) Apparently, he has a 50% change of getting Parkinson’s, which reframes (at least) his interest in the Singularity University, and has put in US$50 million into researching Parkinson’s disease. Again, I’m not saying that people shouldn’t be pursuing this research. Rather, where is the critical discussion on where is it leading us, who benefits, and who is left behind. 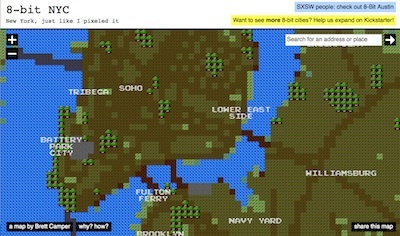 Brett Camper made a wonderful interactive map of New York with 8-bit graphics. I hope that everyone’s mailed back their 2010 US Census forms, which are due April 1, National Census Day. While it’s a rather arcane approach to studying people’s location, it is still important because of its scale, use to allocate federal funding for community services, and use for updating electoral districts. One thing I really love about the census is that it’s mandated in the US Constitution, Article 1, Section 2, Clause 3. 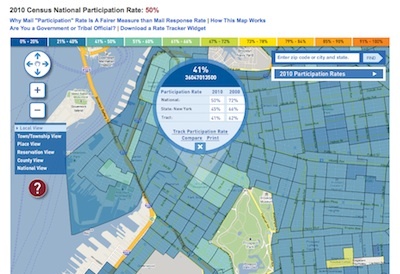 Now that it’s 2010, they also have a interactive Google Map which display participation rate. Dubuque City, Iowa gets the gold star so far for a 70% return rate, which is well above the 52% national average. What makes this mapping project successful is that it raises questions (and potentially provides answers) about participation rates, location, and the allocation of resources, but in a way that is easier that reading at tables of the underlying data. They also provide widgets to display results. However, what would really be great, of course, is if they released data sets to the public. 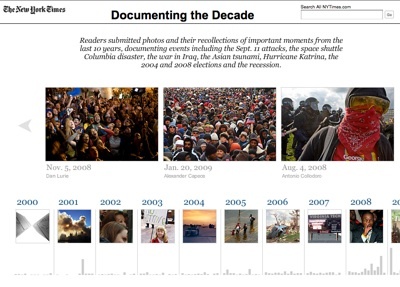 As the journalism and news industry continues to churn and find its way to a sustainable future, the New York Times made an open call to its readers to submit their photographs with captions to document the last decade in photos. I am rather surprised by the general lack of “best of the 00s” media coverage. Perhaps, it’s because we are also too busy cautiously looking towards the future. Regardless, it is important to be look back and think about the past before we go barreling forward. Happy New Year! 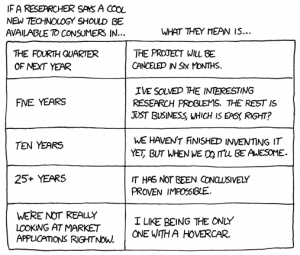 Another great entry by xkcd, this time on research and innovation. With the all the trends of 2010 lists floating about, it’s nice to keep the obsession with the new in check. The fine folks at Urban Omnibus and WNYC are hosting a meet up at Bryant Park this Saturday to explore New York’s unbuilt future from the past with the project I worked on: Museum of the Phantom City. 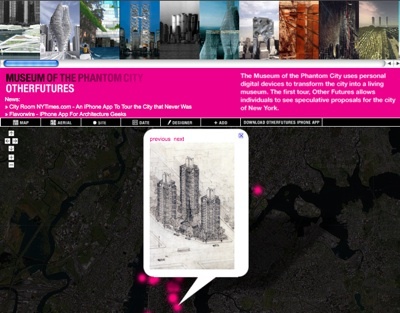 The Museum of the Phantom City launched, which invites people to interact with unbuilt architectural proposals through an iPhone app and website. The project plays with some interesting ideas about location (obviously) but also of how designers in the past envisioned the future. We started with New York, and try to show that an invisible history that never was, resides to a physical/ actual space we inhabit.